I have a problem turning off the lights at times. This is something I know, but in the hustle of the day, I just forget. My kids tend to also not turn off switches. The result is generally my husband going insane, running around the house grumbling and turning off switches like it’s his job. Something about wasting energy and the lights not coming magically for free. I don’t know. All I know is I try. Once I heard about the Lutron Maestro Occupancy/Vacancy Sensor I just had to give it a shot…for Bill’s sake at the very least! LOL. 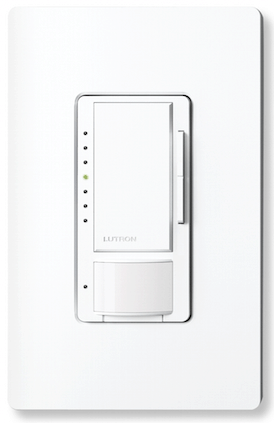 The Lutron Maestro provides an easy-to-operate tap switch that turns lights on/off to your favorite light level. You can also use the rocker dimmer to adjust lights manually. The delayed fade-to-off feature gives you 10-60 seconds to leave the room. 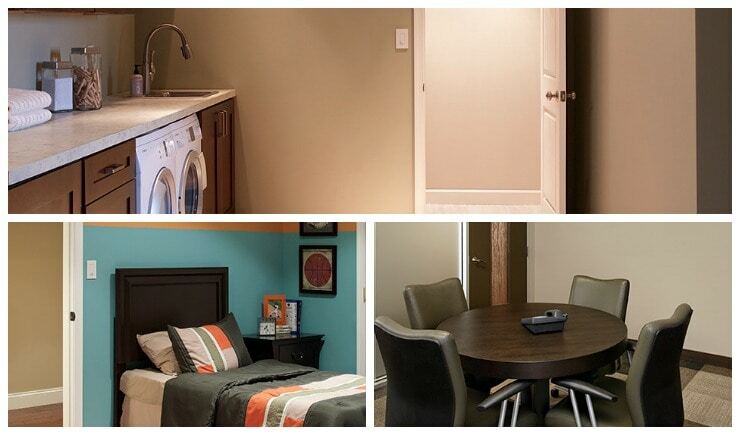 You can even combine with Maestro companion dimmers to control a single light from up to 10 locations. It’s pretty versatile…I like my options. The Maestro occupancy/vacancy sensors automatically turn lights on when you enter a space and off when you leave, making them a convenient way to save energy in a home or commercial space. They’re ideal for rooms where lights are accidentally left on, such as bathrooms, garages or kid’s rooms, or rooms that you often enter with your hands full, such as a laundry room, mud room, or pantry. It’s pretty amazing if you really think about it. It even works with dimmable CFL and LED bulbs (a lot of dimmers do not), which we have, as well as incandescent and halogen bulbs. Where have you been all my life?!?! Check out all of the great Lutron videos about the benefits of using the occupancy sensor here!! You may be thinking that you don’t want to both with work in the house or having to hire an expensive electrician. Believe me, I know very well they can be really pricey. If my husband was a contractor, it would be an entirely different world…right?? Trust me, installation is really a snap and you can do it yourself. All you do is simply flip your power breaker and replace your existing switch. It’s literally a couple of wires and screws. 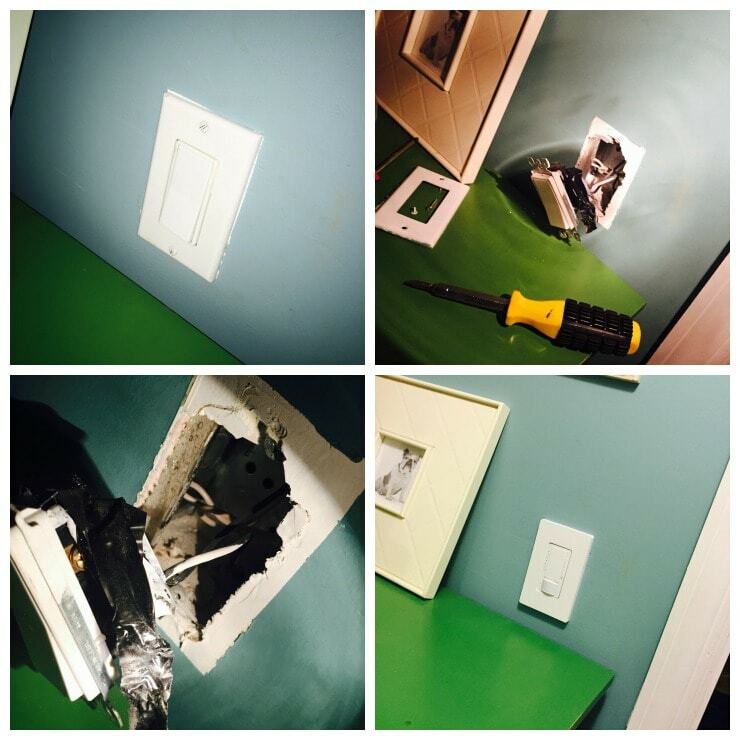 Bill had never replaced a light switch before, but it was really easy for him! He literally just needed his screwdriver (flat head and Philips, whatever that means). Sorry for some non-ideal flashlight lighting….but you have to be safe and turn off the power! If you need some installation pointers, check out this video. It’s great and it’s easy…step-by-step. On top of all the convenience and awesomeness you feel when you know your not wasting money or hurting the environment (or your husband), you can have the luxury of automation and the benefits of energy savings for less than $30!!! So, let me see…save money, save husband stress, save the environment…where do I sign up? You can pick it up at home improvement centers, lighting showrooms, electrical distributors, online retailers and Lutron.com. Find out where right here. Now, you too, will be able to give the Lutron Maestro Dimmer with Occupancy/Vacancy Sensor a shot too! One (1) lucky Lady and the Blog reader will receive one to install and try!! When you leave a comment, let me know how you like to add convenience (especially money and environment saving ideas) to your life! I can’t wait to hear your ideas. *Lady and the Blog LLC received product and compensation for this post. All opinions are my own.